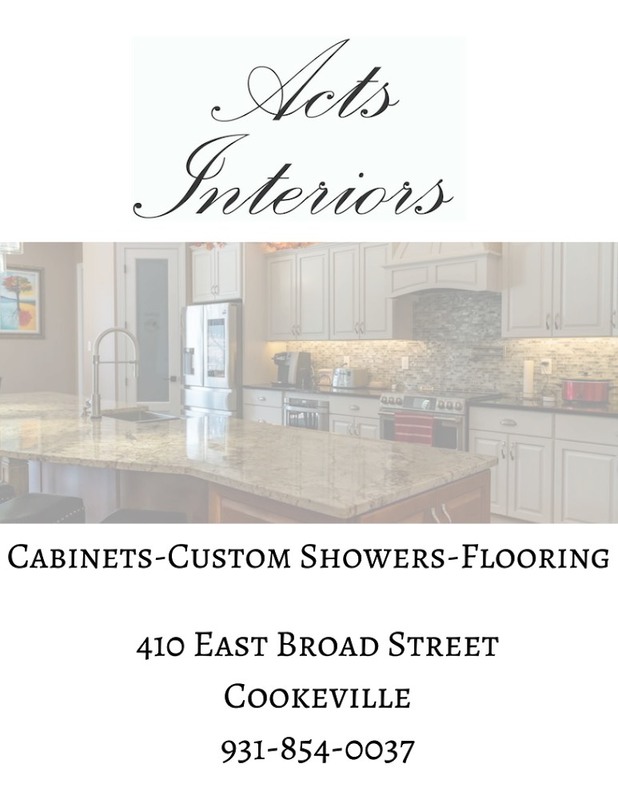 The Progressive Savings Bank/Upper Cumberland Business Journal’s small business of the month for the month of April is Acts Interiors, located at 410 E. Broad St., just off the square in Cookeville. Acts Interiors specializes in kitchen design, cabinetry and much more. They are an authorized Schluter dealer and offer 3D rendering with every free kitchen estimate. For the month of April, they are offering free backsplash tile with the purchase of kitchen cabinets and installation. For more information visit their Facebook page or call 931-854-0037.